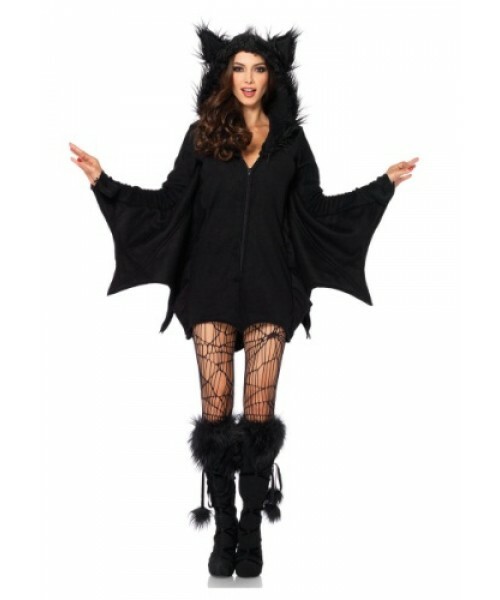 You'll love this Plus Size Cozy Bat Adult Costume...unless you're a chiropterophobe. Then, maybe not so much. Who knew bats could be cozy? Well, they can, and this Cozy Bat Costume is proof! It's great as part of a vampire couple's or group theme. You'll be able to snuggle with your other bat friends all night long. And just a word of advice from our models: this dress is very short, so you'll probably want to wear hot pants or boy shorts underneath to keep your derriere fully covered.